For many people, the idea of traveling during the holidays makes them cringe and cower like walking barefoot over broken Christmas ornaments like Marv in Home Alone. But holiday travel doesn't HAVE to be a nightmare. In fact, traveling during the holidays can actually be great. A vacation during this time of year can offer a much-needed change of pace (I'm ready to flee each November after all the Black Friday hullaballoo), and can give you the chance to make completely new holiday memories. Because, let's face it: even the most fun holiday family traditions can get old and tired after years and years of going through the same motions. Not long ago, I gave you a little behind-the-scenes look at how I use KAYAK to do a lot of my travel planning. That wasn't a lie – I really do use KAYAK all the time, and so when they asked me to talk a little bit about holiday travel, I jumped at the chance. KAYAK recently launched the Holiday Travel Hacker, the must-have travel tool this holiday season. The Holiday Travel Hacker is a new section of the KAYAK site that's full of tips and hacks to make travel easier around the holidays this year. They’ve broken it down into top lists like Top 10 Holiday Escapes and Top 10 Trending NYE Destinations that, coupled with their helpful tools, will make your holiday travels less work and more fun. I didn't really want to write about travel hacks, though, since there are way too many posts out there that will tell you to book your ticket 6-8 weeks in advance and to travel mid-week for the best deals. So, instead, let's talk about some of the coolest places you can travel to in order to celebrate the holidays! Christmas is a time to be with family for a lot of people. But there's no rule saying that you can't shake things up and exchange gifts in another country. Nuremberg, Germany – Germany is known for its markets around Christmas, and Nuremberg is home to Christkindlesmarkt, the largest and oldest holiday market in the country. The market dates back to the 1600s, and today draws upwards of 2 million visitors per year. The market consists of hundreds of stalls selling everything from handmade Christmas gifts to fresh-baked gingerbread. I would love to stroll through the market bundled in my favorite cozy winter gear with some mulled wine in hand. London – Ever since seeing the move “Love, Actually” more than a decade ago, I've wanted to spend the holidays in London. There's just something about the holiday decorations and Christmasy atmosphere that seems romantic to me, and London has both in plentiful supply. I have some friends in London, too – all the better to pull Christmas crackers with! New York City – NYC is more famously known for its New Year's Eve celebration in Times Square, but I would argue that being in the Big Apple around Christmastime might actually be better. You can see the giant Christmas tree, go ice skating at Rockefeller Center, and take a carriage ride through snowy Central Park without dealing with the New Year's Eve crowds. New Zealand – I was born and raised in Ohio, so to me Christmas means cold weather and (usually) snow. BUT, if I had to celebrate the holiday in a non-winter destination, I think my choice would be to head Down Under, when Christmas actually lands in the summer. 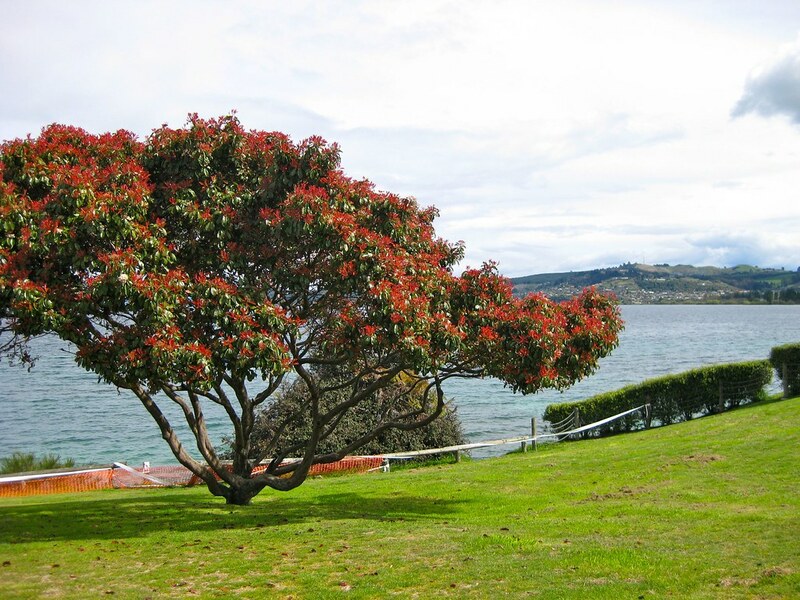 More specifically, I'd love to celebrate somewhere in New Zealand with a beachy barbecue and blooming Pohutukawa trees. “New Zealand Christmas tree,” according to the locals. Rovaniemi, Lapland, Finland – If you REALLY want to get into the Christmas spirit, the must-visit destination would be Lapland, which lays claim to being “the official hometown of Santa Claus.” Here above the Arctic Circle you can visit with Santa, send a letter from Santa's post office, stay in a snow hotel, and maybe even see the Northern Lights. Lastly, according to KAYAK's list of the Top 10 Holiday Escapes for this year, my home state should make your travel list! This is partially because airfare to Cleveland around the holidays has dropped nearly 20% since last year (helloooo great deals! ), but also because Cleveland is home to the house used in the cult classic holiday film “A Christmas Story.” The house is now a museum that you can visit and tour. And yes, of course there's a leg lamp in the window. Family not cool with traveling (or with you being gone) for Christmas? Then turn your gaze to New Year's Eve instead. There are tons of cool places all around the world that have amazing New Year celebrations. Edinburgh, Scotland – New Year's celebrations in Scotland's capital city don't just last for one night. In fact, Edinburgh's Hogmanay lasts for up to three whole days. It begins on December 30 with the Torchlight Procession, when thousands of people carry flaming torches through the streets of Edinburgh in an old Viking tradition. 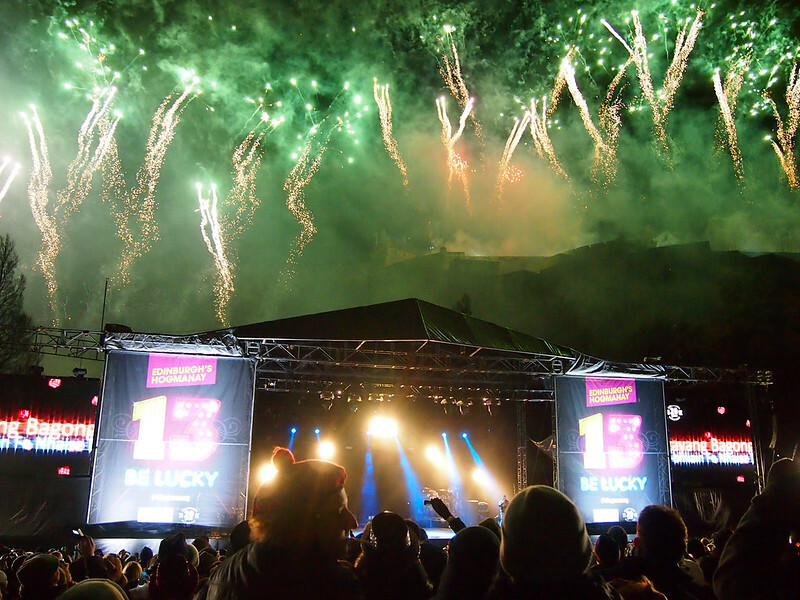 This is followed by the main event on December 31, which includes a massive street party, ceilidh dancing, concerts, and of course fireworks over Edinburgh Castle. The celebrations continue on January 1 with the Loony Dook, when people in costumes jump into the freezing River Forth. Sydney, Australia – Have you ever seen photos of Sydney's New Year's Eve celebration, with fireworks bursting above iconic landmarks like the Sydney Opera House and Harbour Bridge? It looks incredible, and it's high up on my list of must-visit places for NYE one of these years. The fireworks show is continually voted as one of the best in the world, and since Australia is in the southern hemisphere, no winter layers are necessary to enjoy it. 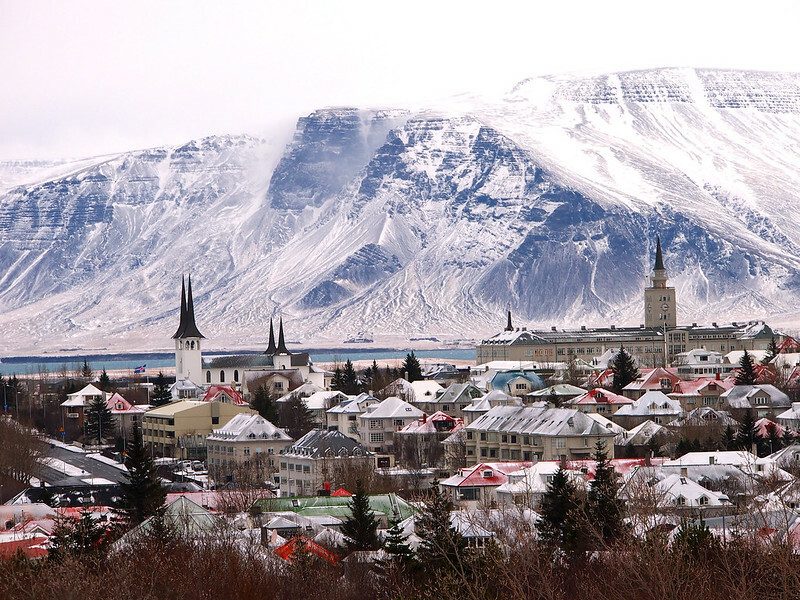 Reykjavik, Iceland – I have a bit of a thing for Iceland, and actually LOVE the country in the winter time. Yes, the nights are long and the temperatures usually hover around freezing, but the small city of Reykjavik knows how to dress up for the holidays. It also knows how to ring in the new year, with bonfires all over the city and tons of fireworks. According to KAYAK, Reykjavik is going to be a trending NYE destination this holiday season. Speaking of Trending NYE Destinations, KAYAK also suggests Barcelona this year. The city has seen a 51% increase in holiday flight searches compared to last year, making it one of the hottest spots to ring in 2016. I personally think Barcelona would be an awesome place for New Year's Eve – the city is exciting and filled with things to do, and there's a free NYE party at the Montjuic’s Magic Fountain each year, too. If you're looking for some holiday travel inspiration, check out KAYAK's Holiday Travel Hacker for some of the top destinations and tips for this year. Also remember that you can utilize tools like KAYAK's Price Forecasts and Price Alerts to determine if now is the right time to book that dream trip of yours. Have you ever traveled for a holiday? If so, where did you go? If not, where would you love to celebrate? Full disclosure: As mentioned earlier, this post was written by me but brought to you by KAYAK. As always, though, opinions are 100% my own. My favorite Christmas away from home was probably in Switzerland. It was freezing, which I could have done without, but it was lovely to be in the mountains and enjoy the snow. I’ll actually be doing my own post on it in the next week or so. Snowy Christmases are always the best, in my opinion! I’ve never thought of visiting Ohio for Christmas, but after reading your section on it, it totally makes sense. 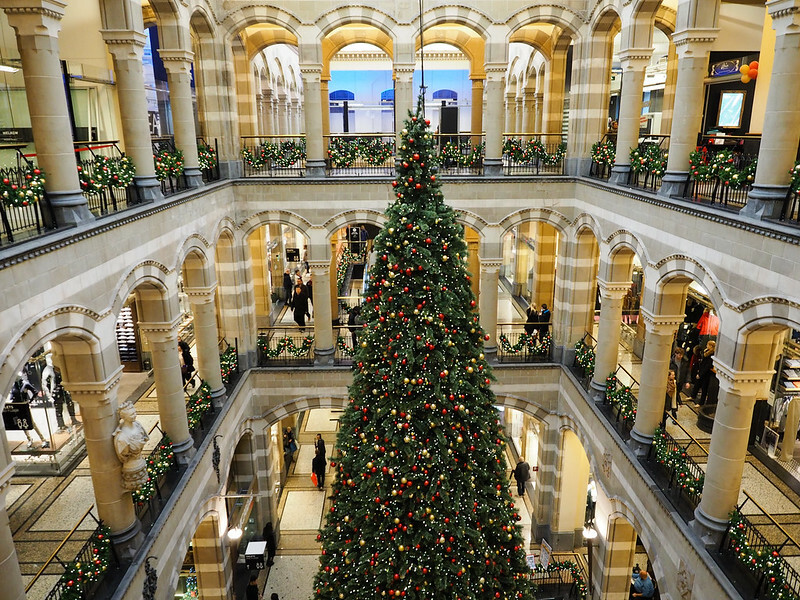 I would love to spend Christmas in Germany and stroll through the markets, and ring in NYE in Sydney! This is my first Christmas away from home. I’m in Vancouver, and it is really weird to have rain instead of snow. This year is the first Christmas I’ll be home in several years, since I went away for Thanksgiving instead. I’ve celebrated in Waikiki, St Croix (twice! ), Galapagos Islands and one of my favorites was a quaint inn (Redstone Inn) near Aspen, Colorado which included sleigh rides and Christmas dinner in our package. Christmas travel can be crazy, but often if you travel on the actual holiday, it’s not too bad! Christmas in the Galapagos sounds amazing! I’ve spent two Christmases abroad. I particularly like Rothenburg, Germany for before Christmas or any part of Germany with their cute Christmas markets. But so far I’ve loved Italy for right after Christmas! Everything is all decorated and the holidays continue until Jan 6th for the Epiphany! I was surprised that their traditional gift giver was not Santa Claus, but actually La Befana, the witch! It was fun to see witches intermixed with Christmas iconography! Yes, I love the witch in Italy! It’s cool to learn about all the different holiday traditions when you travel. Great list! I’ve visited Hogmanay in Edinburgh, NYC, and Dubai for New Year’s Eve. This year I probably won’t go anywhere, even though thanks to your post I’ve realized Iceland would be an awesome destination to ring in the New Year. I’ll be visiting one Christmas market this year in Germany, namely in Dusseldorf (which is closer to the Netherlands than Nuremberg). What was New Year’s like in Dubai?? And, as far as Christmas markets go, you really can’t go wrong with any in Germany! Dubai hosts a pretty awesome New Year’s Eve! I didn’t watch the fireworks at the Burj Khalifa though because it gets insanely packed. Instead I went to a rooftop bar from which I could watch different fireworks displays, include the one from the Palm Islands. I spent Christmastime in Copenhagen once and it was beautiful. I loved the Christmas market and festivities at Tivoli Gardens. It’s also a great place to walk around enjoying the snow and a pastry! I’ve heard so many things about Copenhagen, and yet have never been! While strolling the side streets in Dubrovnik last year, I discovered a small year around Christmas store. (It was late August) It was fun to see the Christmas ornaments and decorations only available there. I often wonder how stores like that stay open in the summertime, though – do people really buy Christmas ornaments in August?? I spent Christmas in London last year – pet sitting a dog and a cat. 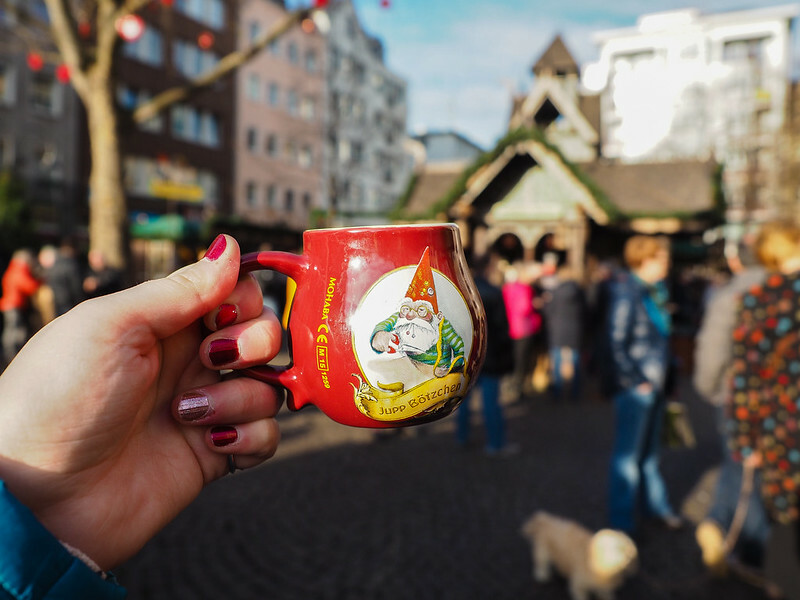 A few years back I stayed with a friend and her family in Germany which was fantastic – it was different to have duck rather than turkey for Christmas dinner (which was actually Christmas Eve) and of course I visited lots of German markets! I guess I’ve spent quite a few Christmases away lately…Cuba at a resort (meh…worst one ever..), Costa Rica with family which was fun, a walking holiday in Cornwall, on a tour of Nepal. (nothing like taking a flight to see Mt Everest on New Years day) ..all very special in their own way. I still haven’t visited New York during the Xmas season but that’s on the list! This year it’s back at home but I am having fun going to concerts and parties and enjoying local traditions as hopefully next Christmas I will be back in London!!! 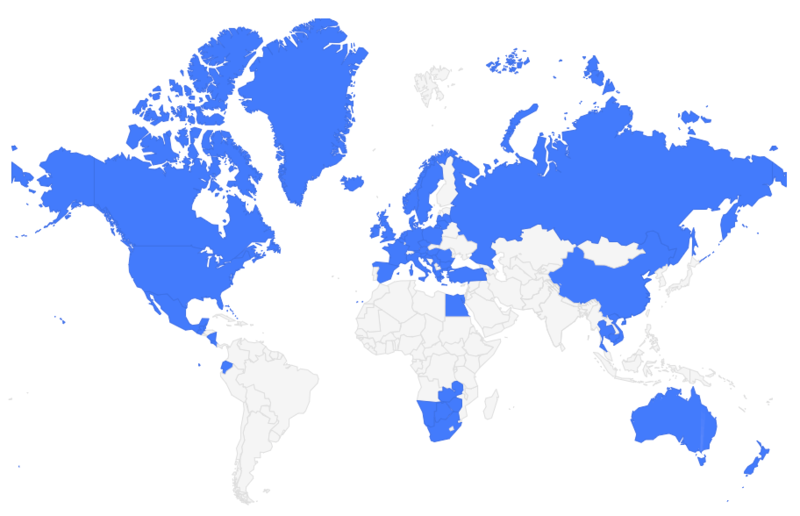 Wow, yes, you’ve had some pretty cool Christmases abroad! I’ve actually never been away for Christmas! And for New Year’s my most exciting was Hogmanay in Edinburgh. Fun! I’ve never really considered a holiday cruise, though I went on a Christmas market river cruise in Europe this year (although a little before the holidays) and it WAS really fun to travel that way! I definitely plan to have a beachy Christmas at least once in my life! I never used to travel for the holidays until I moved abroad. When I lived in China, I rang in the new year in Shanghai and also Hong Kong (HK won by a wide margin). Now that I’m living in Europe, I’ve been hitting up loads of Christmas markets. I personally enjoy the Baltic countries this time of year, because they are super festive but don’t see as many visitors so the markets aren’t crowded. Prices are also better. That being said, I just got home from Portugal, and the decorations and markets in Lisbon were awesome!! Ooo interesting to hear about the Baltics! I actually haven’t been to that part of Europe yet, but it’s on my list! Great picks! Europe at Christmas is incredible! Yes, so glad I finally got to experience Europe at Christmastime this year! Oof, I actually find NYC at Christmas incredibly stressful. I have a lot of friends in NYC so I used to go at Christmas every year. What the pretty photos of Rockefeller Center and Radio City Music Hall don’t show is the *ridiculous* crowds — mostly of very aggressive, iPhone-brandishing tourists. Fighting through the crowds is stressful enough to ruin the experience. Walking up 5th Avenue, you can’t even see the famous window displays because there are so many people elbowing you away. On a positive note (because that came across more negative than I expected it to!) — I find NYC in January very underrated. Sure, the weather is bad, but it’s usually bad in December too, and January is the only time when I’ve never found it crowded to the point of stress! I’ve started visiting NYC every January instead of every December; the lack of crowds lets me have a very local experience! Very good point, Caroline! I kind of just expect crowds in NYC (especially at popular times for tourists to visit), but that could indeed get annoying! NYE in Sydney has been on my mind for a long time. I was just in Barcelona and can imagine it would be fun and raucous for NYE. NYE in Sydney is definitely on my bucket list! Great tips and photos. Inspiring really. I loved that coffee cup though. Thank you for sharing. I managed to hit Vienna, Budapest and Germany before Christmas. Now I’m in the UK (Chester near Liverpool) having a bit of a holiday from my holiday by kicking back and spending Christmas with my aunt, uncle and cousins. It’s great to be able to spend Christmas with family even though I’m on the other side of the world from Australia. I ummed and ahhed about spending NYE in Edinburgh or London and ultimately decided on London but I’m slightly regretting it now, especially when I discovered London is ticketed this year. But oh well- I’m sure it will still be a great experience! And I’ll be in Edinburgh for Fringe next year so I can’t complain about that. I always try to get a kayaking trip in during Christmas. Kinda weird, I know, but I just love being out there on the water. So peaceful. I’ll probably spend Christmas this year in Los Angeles, where I live unfortunately. Work has just been too crazy to get away. Thanks for the great post! Doesn’t sound weird at all! Kayaking can be very relaxing! Hey Amanda, thanks for not making me feel like a weirdo. In fact I’ve created a blog about the health and spiritual benefits of being outdoors. I don’t know any other place where the Truth is so real. Do you feel different after being around nature for a half hour or more? Both New York and Dubai are fantastic destination choices, and you can’t go wrong with really either one. Much more of a diverse mix in Dubai however, with souks and traditional Arabian markets mixed in with the modern brands and metropolitan mega malls ?